If you think New York is a liberal bastion, let Ginger Otis take you into its heartland of heroes, the FDNY, the whitest major fire department in America where exclusion is the driving engine. 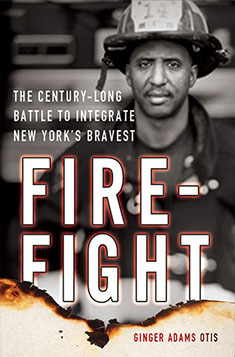 The real heroes of the department, it turns out, are its handful of black firefighters who took on unions, commissioners and mayors to finally, with a strong assist from a courageous federal judge, force real change. Otis’ sparkling narrative, alive with the dialogue of struggle, is an indictment of the protected white enclaves that still exist in our nation’s diverse cities and an affirmation of those determined enough to transform them.